Abbotts disaster response teams can deploy anywhere with just a moment’s notice. 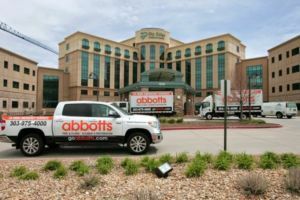 Whether you’re facing the aftermath of a fire in your home or flooding and water damage in your business, call Abbotts and get back to normal fast. When disasters like floods, fires or other dangerous, damaging events occur, you find yourself stretched thin. We know from working with families and business owners how stressed and exhausted you get when you’re trying to look and go in every direction at once. You’ve had to provide for the safety of your family, employees or customers (often all of these). You have to ensure that your livelihood is secure, whether your job or business. You’ve had to inventory your property and tally up the loss, both financial and personal, such as heirlooms, family photos and important documents. And everyone is looking to you for some ray of hope, some sign that things will get back to normal. You need a friend. Response – 24/7 immediate response. Integrity: No hidden fees. We use the industry gold standard pricing system, Xactimate®. Quality – Unparalleled quality standards. Free – Inspection, consultation and estimate. Capability – We command a formidable team of experienced, dedicated restoration experts. Commercial or residential – We can handle any restoration job, from a home to a factory. Professionalism: We never coast. Abbotts experts are the best trained in the business. Experience: Three generations of disaster restoration experience. Tested: We have a successful track record working with all insurance companies to make the claims process hassle free. Flooding is particularly dangerous, and water is extremely damaging to property, so here are some tips to help you get started protecting your property right away and keep you and others safe. Don’t try to walk across flowing streams or drive through flooded roadways. If water rises in your home and you can’t get out, go to the top floor, attic, or roof. If your attic has no outside access, get out! Turn off all utilities at the main power switch and close the main gas valve if flooding is likely. Treat floodwaters as if they are contaminated with chemical and biological hazards. Because they are. Remember that flooding can increase risk from wild animals such as snakes, venomous insects and injured, potentially dangerous mammals. If your home has suffered damage, call your insurance agent to file a claim. Abbotts can file your cleanup and restoration claim for you. Check for structural damage before re-entering your home or business. 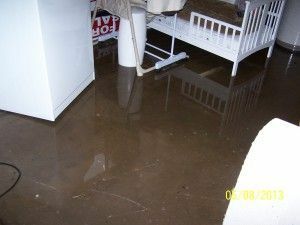 Take photos of any floodwater in your home or business and save any damaged personal property.